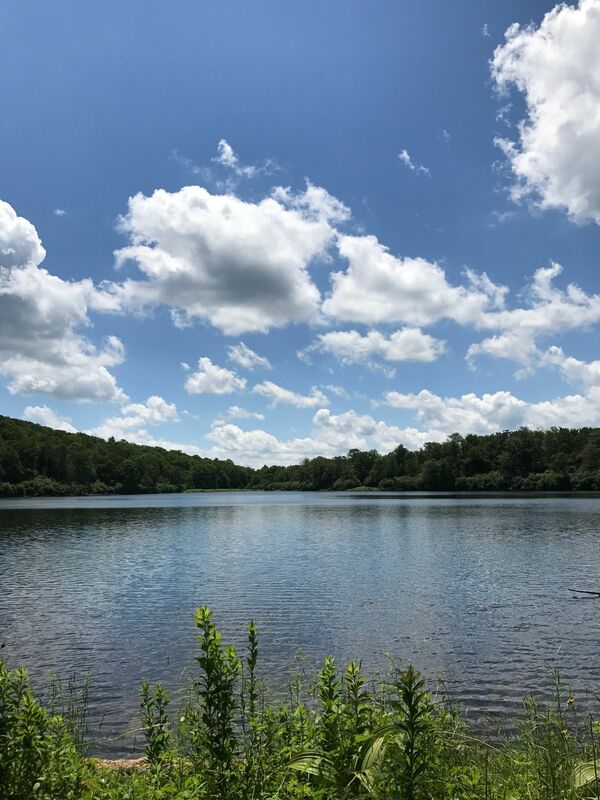 Hodge Pond and Frick Pond Loop Trail is a 6.5 mile lightly trafficked loop trail located near Livingston Manor, New York that features a lake and is rated as moderate. The trail offers a number of activity options and is accessible year-round. Dogs are also able to use this trail. Hodge Pond Loop From Frick Pond Trailhead, follow the blue DEC markers of Flynn Trail north to Beech Mountain Nature Preserve, a private inholding with a NYS easement for a public footpath. 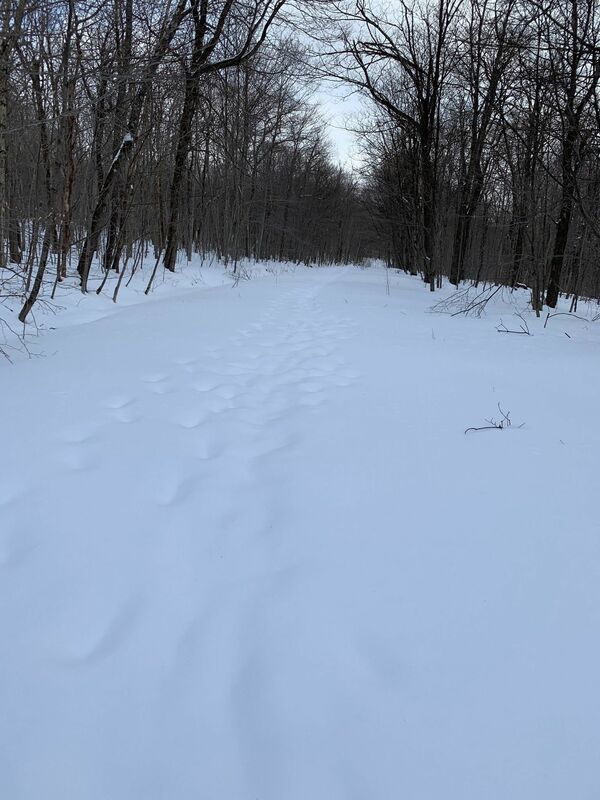 The trail passes by the south shore of Hodge Pond, about 2.4 miles from the parking area, before returning to State Forest Preserve. Continuing westward, the Flynn Trail ends at Junkyard Junction (3.2 miles). From here, one can return to the trailhead parking lot via the red DEC markers of Quick Lake Trail, passing by Frick Pond. Total distance, 6.3 miles. 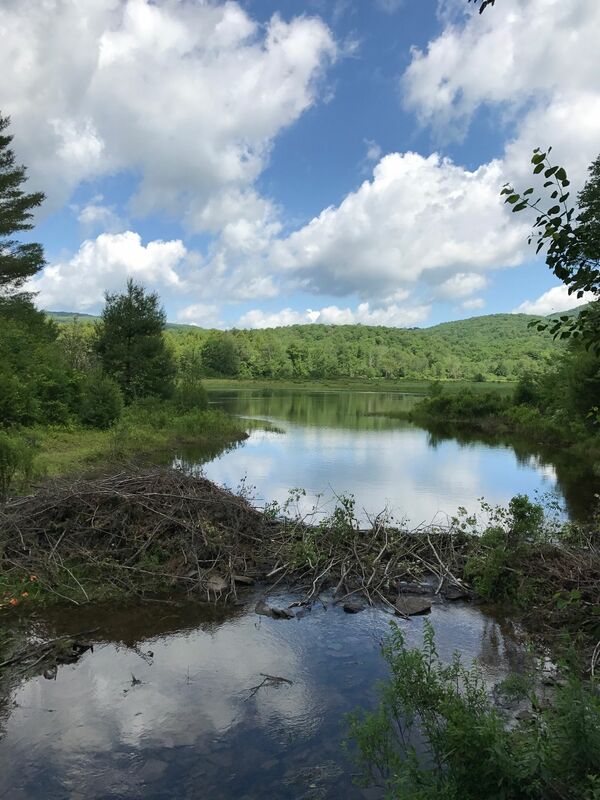 Directions from Sullivan County, NY: The Willowemoc Wild Forest lies primarily in northern Sullivan County lying 18 miles north of Liberty and 9 miles northeast of Livingston Manor. 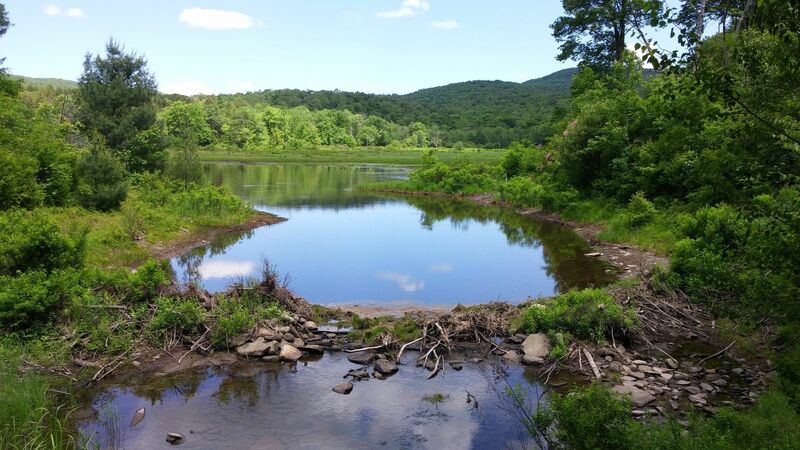 It encompasses the towns of Neversink and Rockland stretching into Denning and Hardengburg which lie in Ulster County. The Forest also surrounds Mongaup Pond Campground. Trailhead parking is well marked. 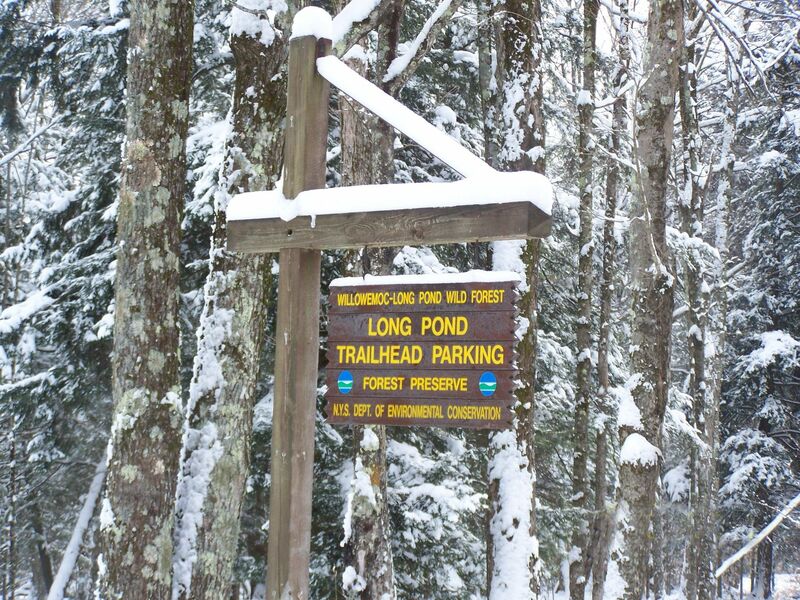 The more popular trailheads include:Black Bear Road Trailhead - Located in the town of Denning, 2 miles northwest of Claryville.Long Pond Trailhead - Located in the town of Neversink on Flugertown Road, 3 miles northeast of Willowemoc.Mongaup Pond Campground - From Livingston Manor, take SR 81 east for about 1 mile. It will turn into SR 82; continue east several more miles. You will be paralleling Willowemoc Creek. Turn left onto Mongaup Road / Fish Hatchery Road which is near the confluence of Willowemoc and Mongaup Creeks in DeBruce. Head north about 2 miles. The road will fork. 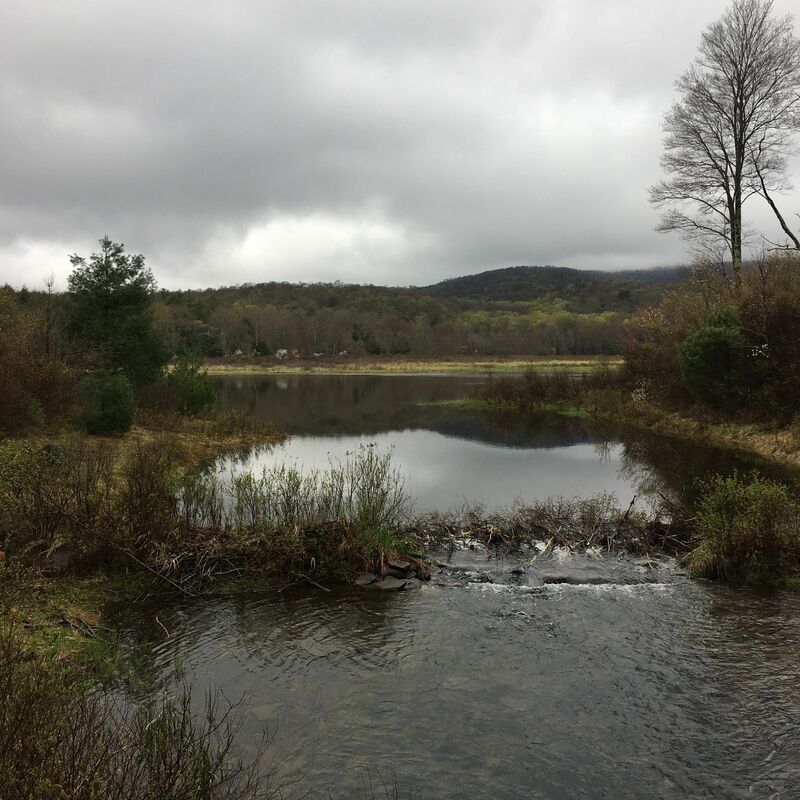 Bear right onto Mongaup Pond Road which carries you into the campground.Frick Pond Trailhead - Located north of the tiny burg of DeBruce. Travel to the fork 1 mile south of Mongaup Pond Campground (see directions above). Bear left onto Beech Mountain Road. We did this hike with snow shoes (highly recommended). 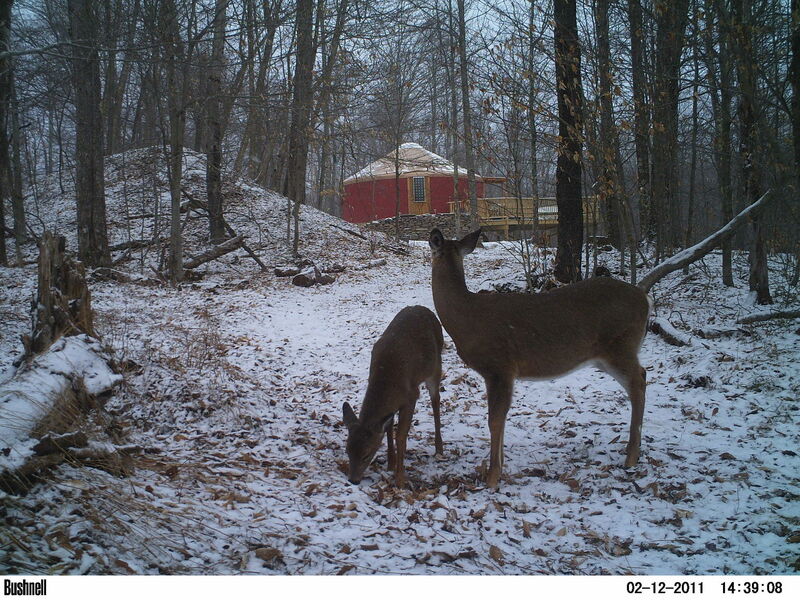 Without them this would have been much more difficult and we likely would have turned back early. 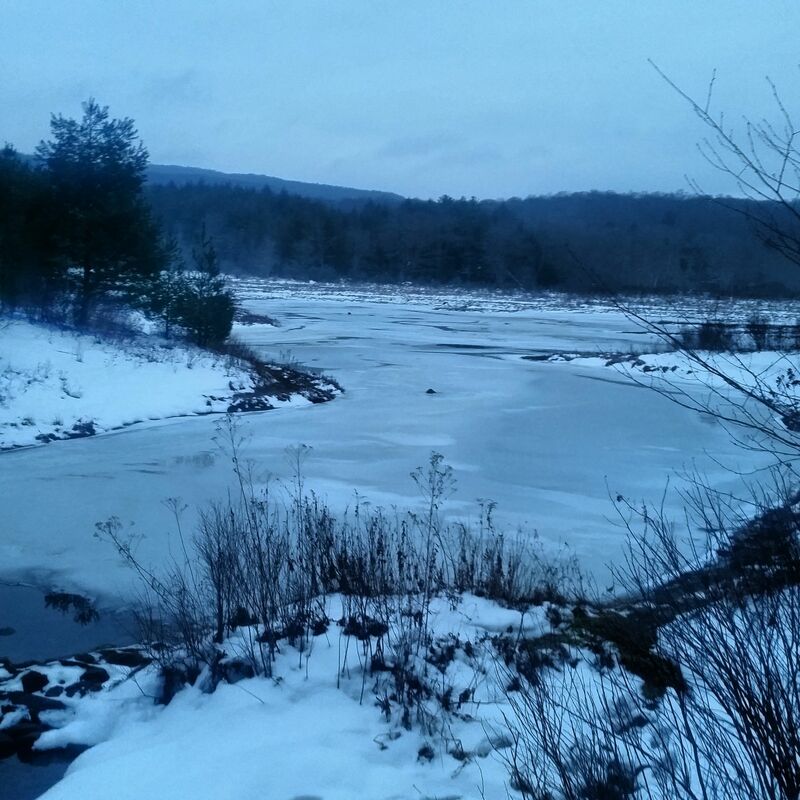 The views were beautiful and the streams were very peaceful (light frozen layer on top with water flowing underneath). Looking forward to coming back again! This loop is a moderate hike with opportunities to customize it as you see fit. 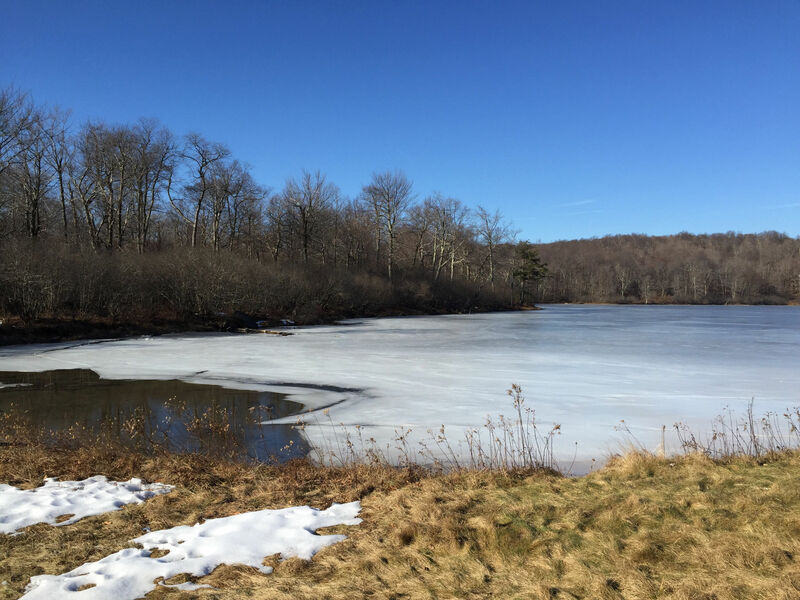 Frick Pond is secluded and peaceful and offers an opportunity to swim (accessible via small beach on the southern edges of the lake). Some portions of the trail muddy quickly so bring suitable shoes. Great moderate hike with lots of trails. You can easily branch off and take different routes. We went to the top of beech mountain. It was too cold to swim but we will def be coming back to do it in the summer. We went down from the car park past frick pond then tried to follow the Frick Pond Trl on map. It is incorrect and the route to follow it is theoretical at best, and badly marked if at all. There is good camping by Hodge Pond and a good walk back on blue markers. Very very buggy in the lower sections around Frick Pond, and the track is mainly an old road, making the walking easy. 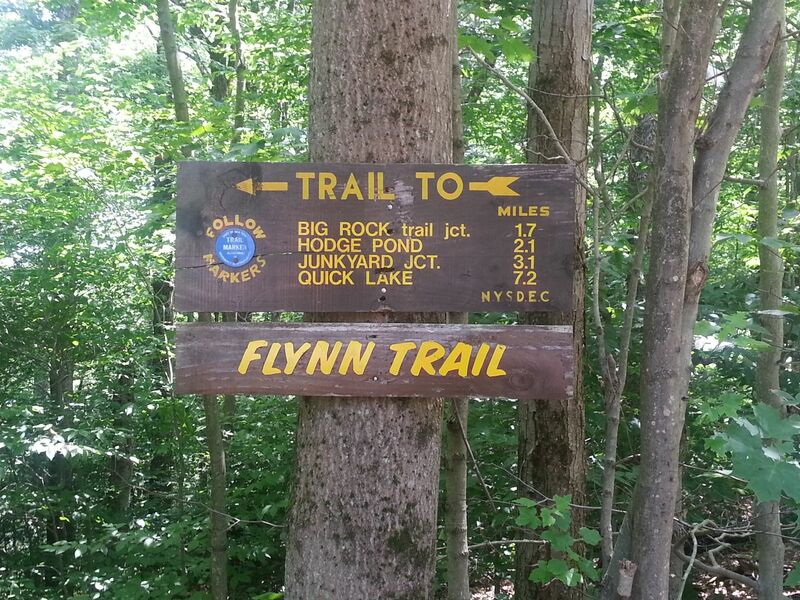 Started the Flynn Trail (blue) at the Frick Pond Trailhead. It is a little confusing as there are no turning markers but just follow the wide lane to Hodge Pond. There are signs along the way to keep you going in the right direction. Wear long pants as the trail is overgrown in many areas. 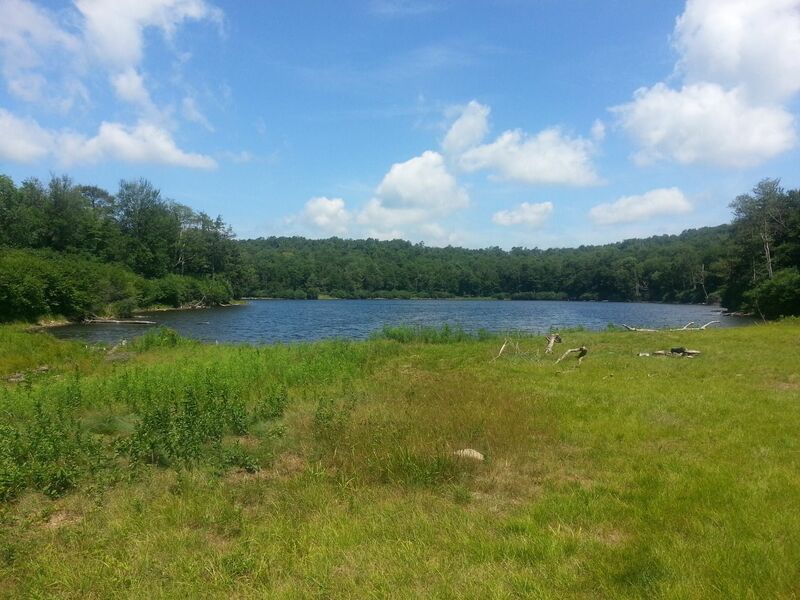 There are no high spots or lookouts, just a nice hike to a secluded lake. I did the loop trail by turning left at the lake and then following the red trail back to the parking lot. The trail is mostly under the trees so it is nice to do on a really sunny hot day when you just want to be with nature. Take a picture with your phone of the map by the trailhead to know you are going in the right direction. My trail route came in at almost 7 miles. 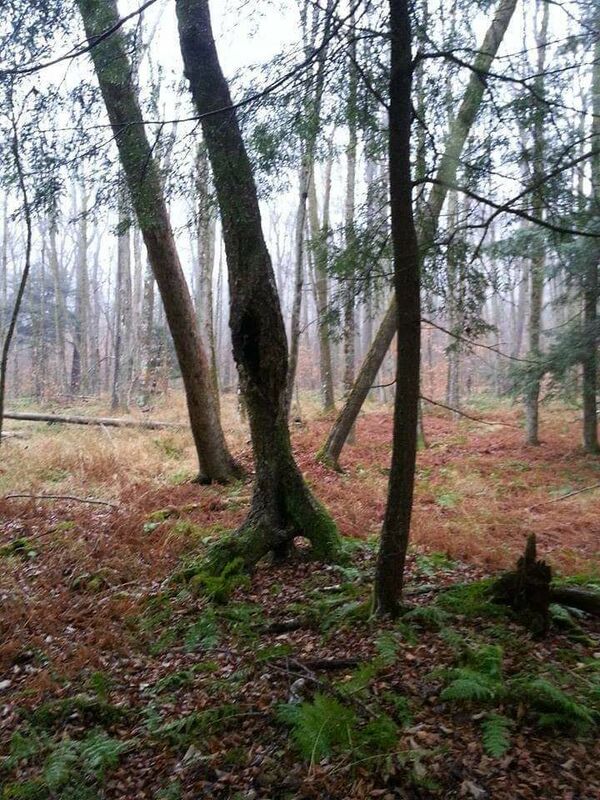 Long Pond trail in Willowemoc, NY is one of the best trails to take youngsters on. It is great for beginners because it is a nice hike in, with just the first 1/8th mile a warm up grade. The pond is fun for studying nature up close, even in February. A spring like snow was coming down and added another dimension of pleasure to the 4 hour trip, with plenty of hang out time included. 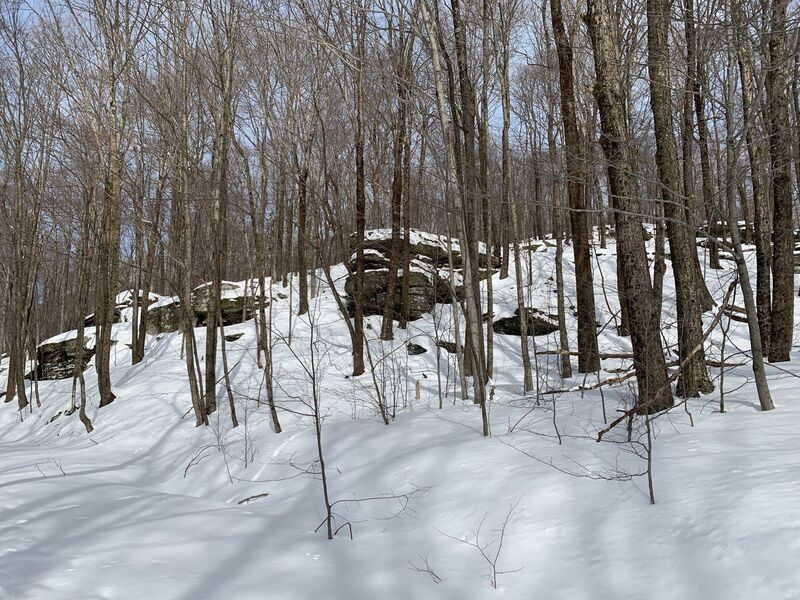 We are fortunate to live in Willowemoc and having grown up here I can attest to the fact that this area has something to offer any outdoor enthusiast.The Willowemoc Wild Forest Trail is one of many here in the Catskills that will deliver you to the adventure you seek.